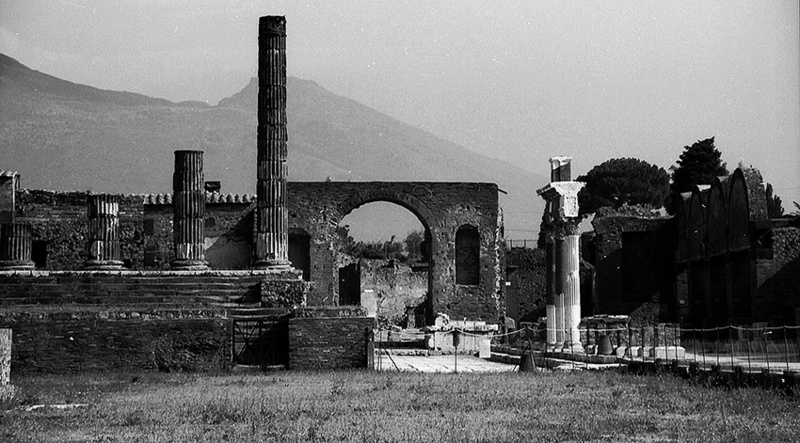 Recent fieldwork and study by the Pompeii Forum Project allows us to expand and refine our understanding of the urbanistic development in the area of the Pompeii Forum, in the context of our previous interpretation of the overall state of Pompeii Forum studies (AJA 117  461–92). In 2001, we conducted four excavations in the forum area, addressing questions raised by our excavations in 1997 (AJA 102  739–56). Two trenches focused on the Sanctuary of Apollo. These rendered scant information and are treated here only briefly. More important, Archer Martin completed his analysis of all excavation pottery from our 1997 and 2001 seasons. This supports urbanistic reappraisal in key areas, including a substantial Augustan phase in the Sanctuary of Apollo. Our other two 2001 trenches were more successful. The one next to the Basilica clarified its construction practices, and the other, in the Via della Fortuna sidewalk across from the Temple of Fortuna Augusta, amplified our understanding of the impact of the construction of the temple on its immediate neighborhood. For both, we can better evaluate the urbanistic repercussions of inserting such large, public buildings into neighborhoods that had not previously made provision for such structures.